You can find lots of things to do with sweet potatoes and butternut squash. But if you’re looking for reliable and fairly easy, you can chunk and roast them. 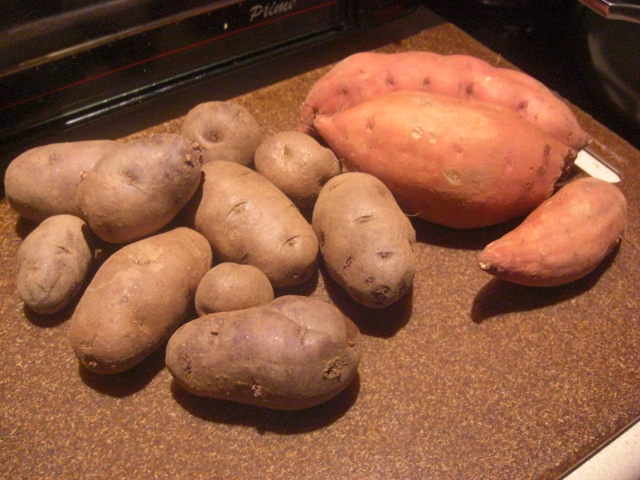 First, peel the potatoes or squash. 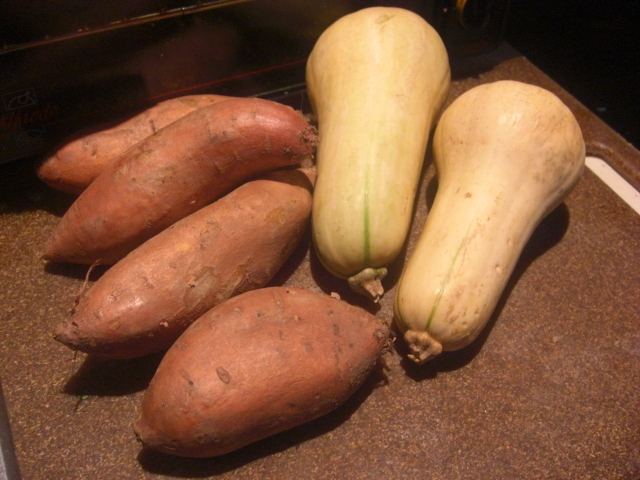 (Butternut squash is one winter squash you can actually peel.) 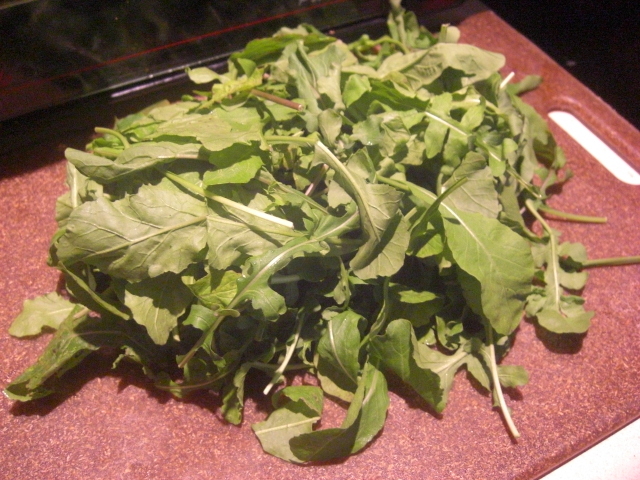 Then chop them into chunks or slices. The smaller your chunks, the faster they will cook. Then, toss the chunks in olive oil, salt, and pepper. Add chopped herbs if you have them. Bake at 350 degrees for half an hour or so. You can eat them when they are fork-tender, but consider waiting until they have carmelized some. Mmmm…. Summer is still hanging on by a thread! I ate the sorrel plain. I know I’m crazy, but I really like it that way. The tomatoes are amazing. They are as ripe as they can be! So red and flavorful! 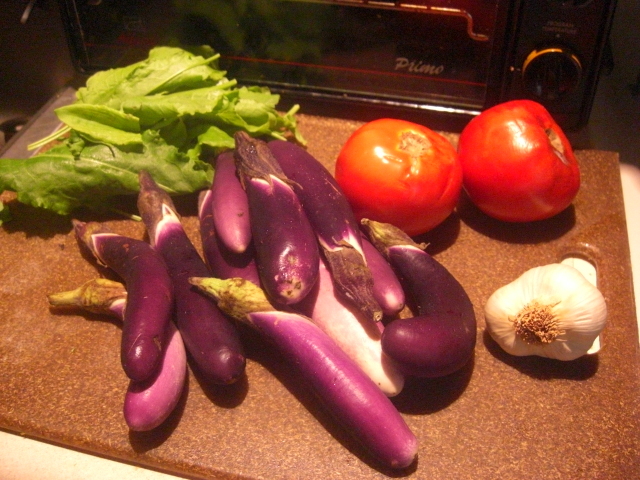 Behold a Georgia September harvest! 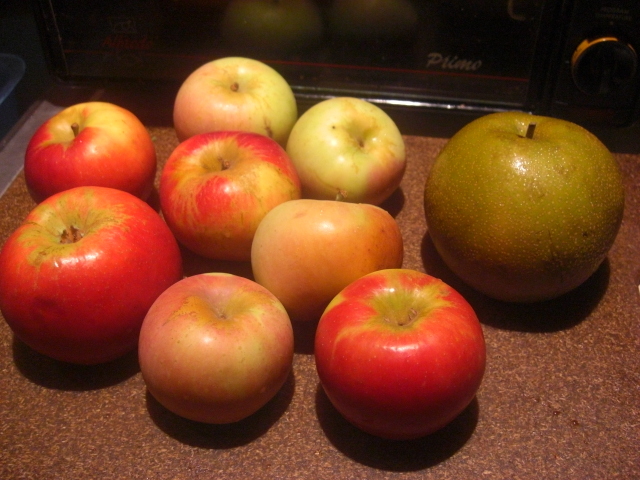 Chris has started to notice that our apples are disappearing faster than they used to. He has correctly deduced that it is because I’m feeding them to horses I like. Check out the day-glo winter squash! 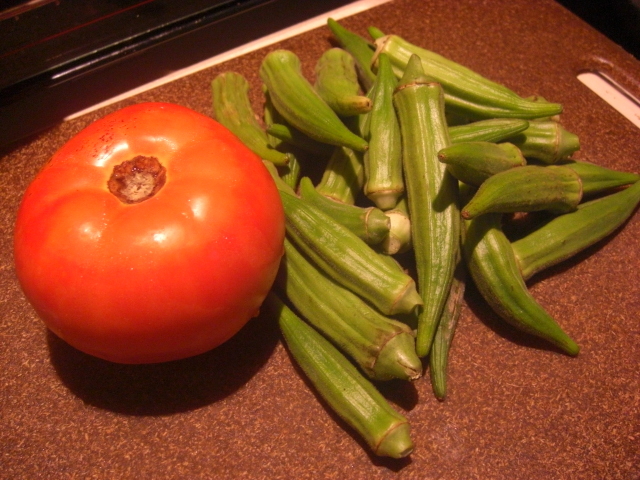 It’s that time of year where you get okra and apples in the same box! Welcome to this week’s Farmers’ Fresh take. 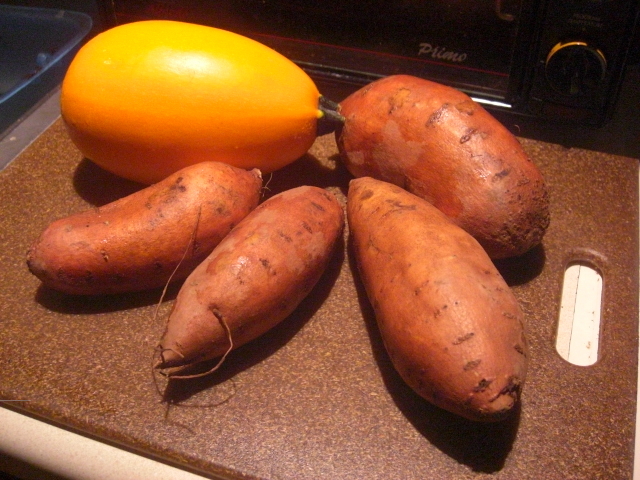 We peeled and chopped the sweet potatoes and tossed them with olive oil, salt, and pepper. Then we roasted them at 350 degrees for about 30 minutes or so. They can stand to get a little caramelized, so they are better if you leave them a little long. 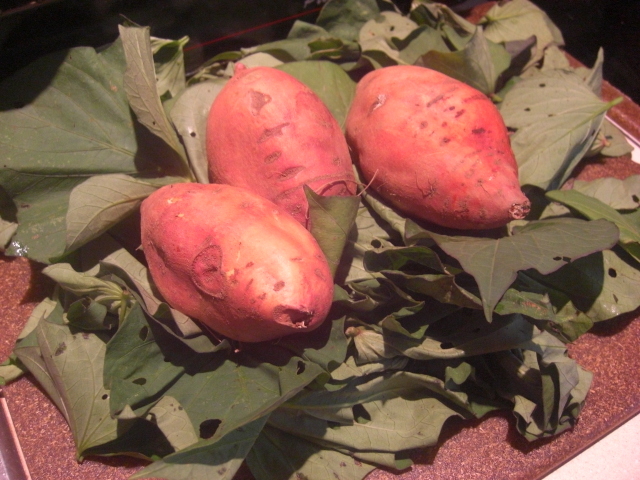 Un-sweet potatoes can be dealt with in the same fashion with excellent results. Hi! 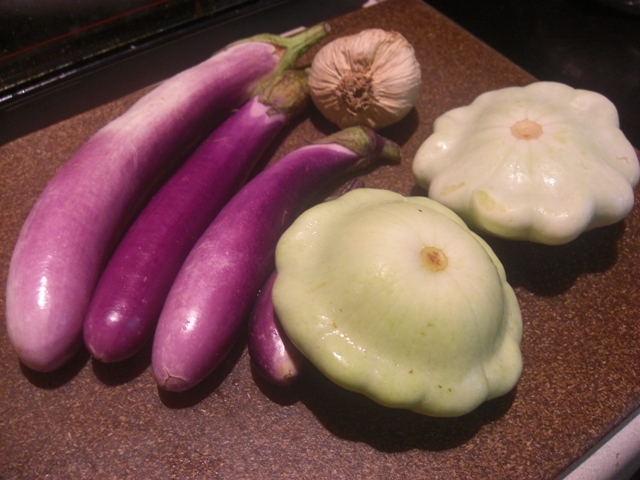 I’m working on this month’s backlog so that I can share all the wonderful goodies I got from Farmers’ Fresh this month. I wish I could tell you that I was snacking on local food while at work. But, alas, today’s treats are from Kroger’s Private Selection Brand. 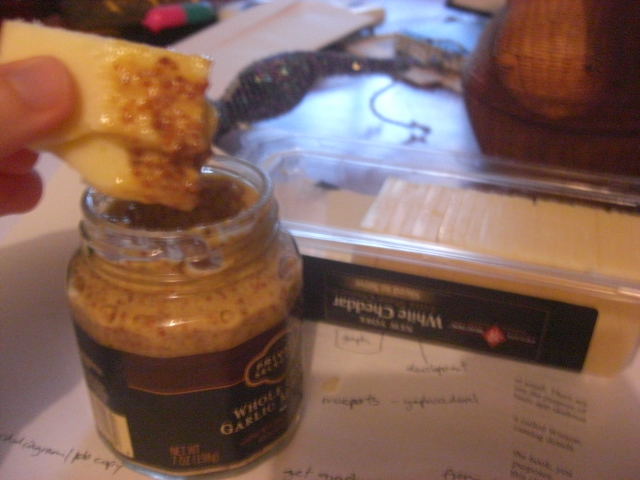 I’m dipping cheddar slices into a jar of whole grain mustard. See? I love this so much! I want to put a blanket over my head and make a secret cheese and mustard fort. We poached the Asian pear in a simple syrup plus lemongrass and 5-star spice. 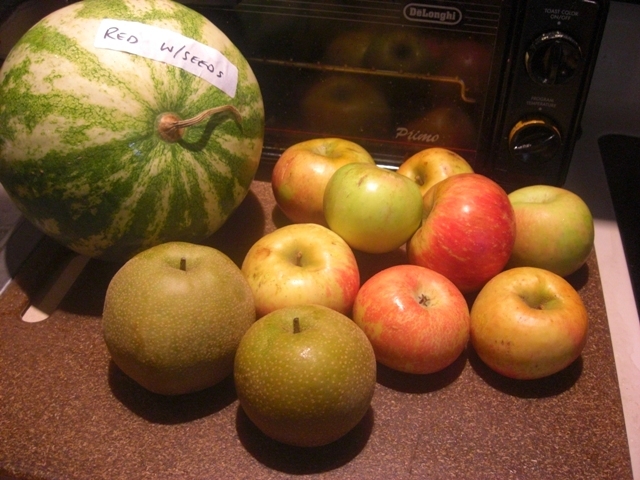 The apples I have been eating out of hand and giving to my horse friends at Pony Tail Acres. 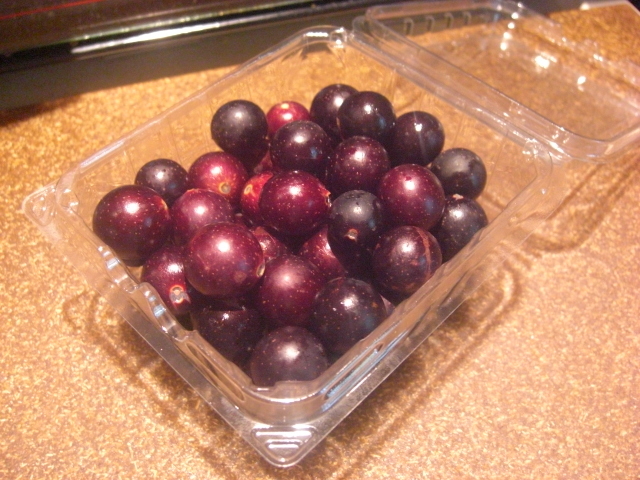 muscadines – hey, did you know that “muscadines” does not pass WordPress’ spellcheck? We need to educate some folk. Here’s this week’s haul. 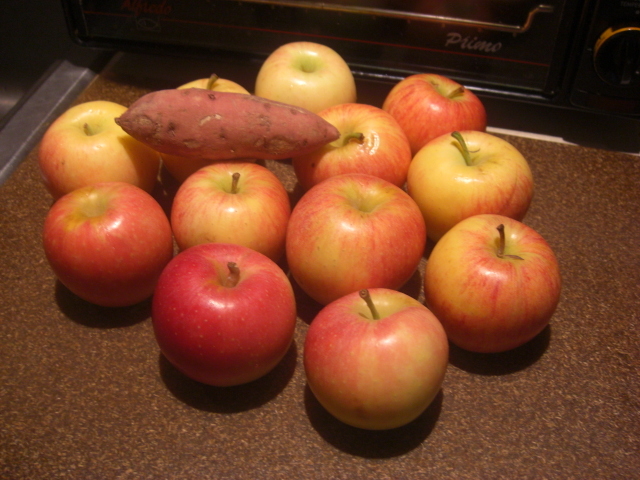 The red apples and sweet potatoes are a whiff of fall, and I’m excited for that change. First up, fruit. 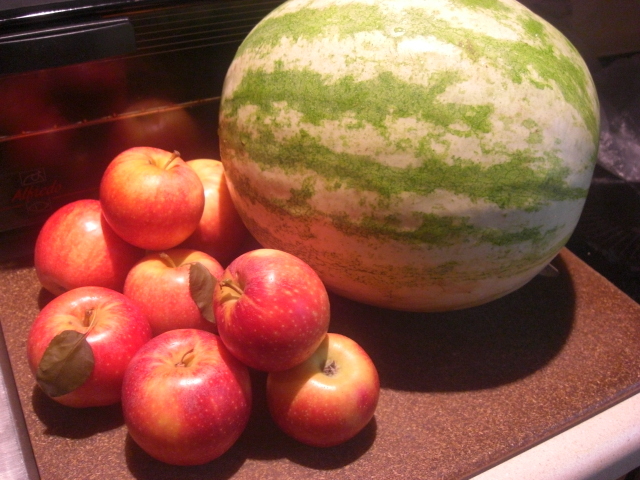 The apples have been a delicious part of our week. We snack on them in the afternoon. Yum! 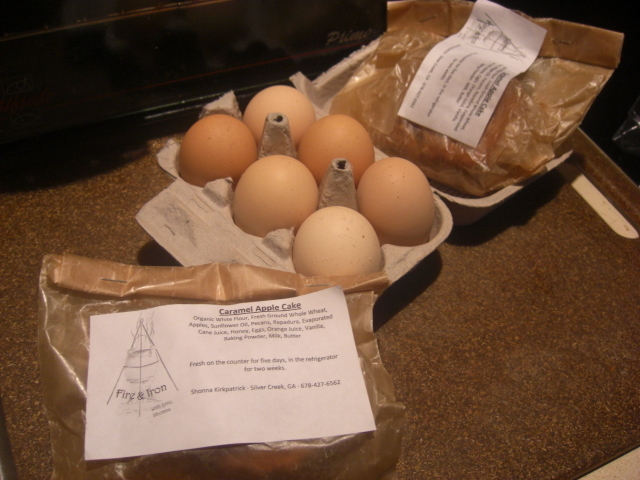 Here’s what arrived last week from Farmers’ Fresh! 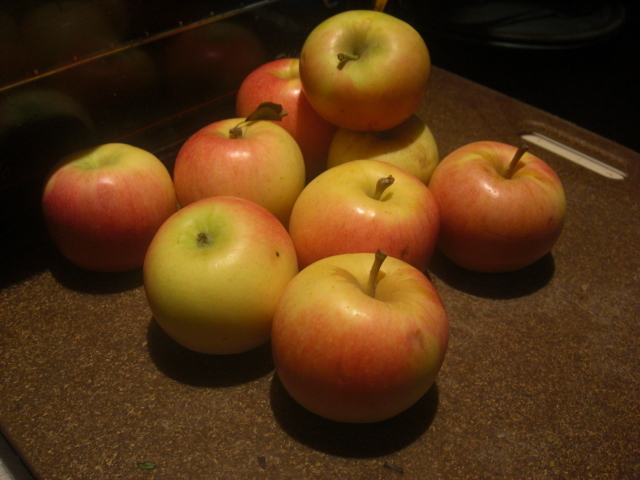 The apples were eaten and shared with friends. Very tasty – even the ones that still have some green on them. The watermelon will be busted open soon. Chris is working on our 1991 Celica today, and a watermelon makes a great afternoon snack when you have oily hands. I poached the Asian pears along with some lemongrass from last week. Here’s the recipe. I replaced the cinnamon and nutmeg with an equal amount of five-star spice. The Asian pears did not get soft. 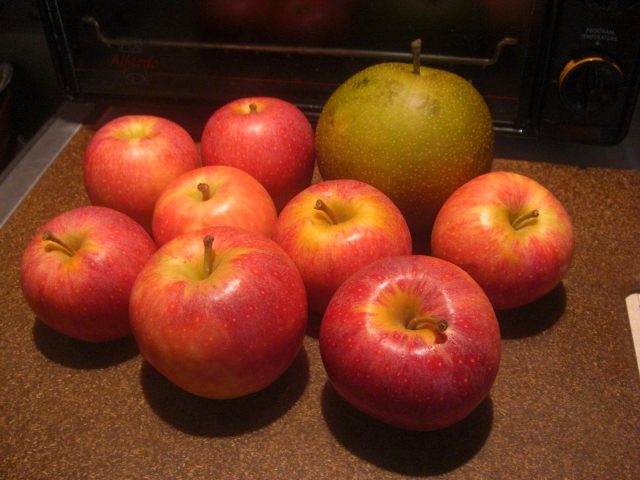 (I think that’s kind of the point of Asian pears: they stay crispy when heated or cooked.) But they did absorb the tasty liquid and were very yummy.